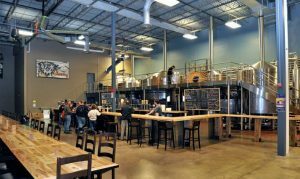 An existing warehouse was transformed into the new Tröegs Brewery & Restaurant. 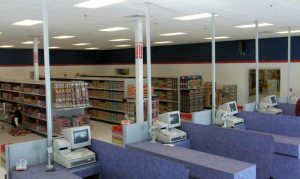 The facility was designed to be a unique brewing experience for all of Tröegs’ visitors and patrons. 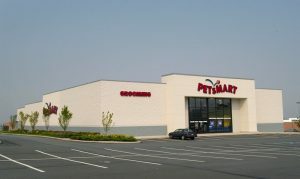 PETsMART was a fast-track project as well as a cost-effective and high-quality commercial structure. 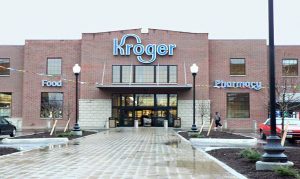 Quandel was selected to construct a new 70,000 square foot Kroger store in Columbus, Ohio. 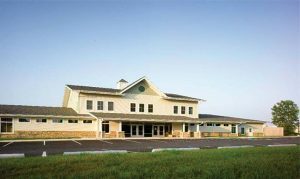 Quandel was selected to construct a new, 17,000 square foot animal hospital. 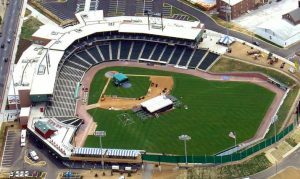 The new Clipper Magazine stadium is home to the Lancaster Barnstormers, a minor league baseball team. 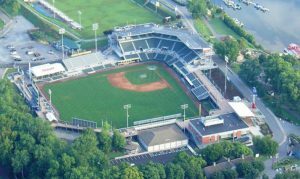 The Metro Bank stadium features some of the most unique and up-close seating configurations in minor league baseball with a newly-elevated main concourse level offering unobstructed views of the game. 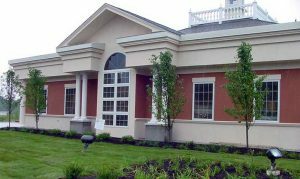 Quandel provided general construction services for a new Phantom Fireworks in Kirkersville, Ohio. 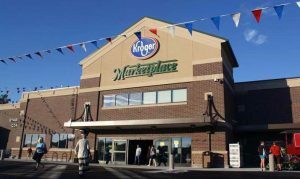 This new 123,489 facility will have a full service grocery, pharmacy with a drivethru, banking center, Fred Meyer Jewelers and a Starbucks coffee shop. 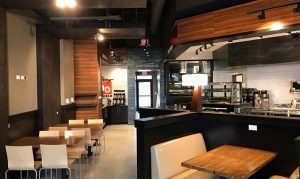 Quandel Construction Group was hired to provide construction management services for the new 36,000 square foot retail center in New Albany, Ohio. 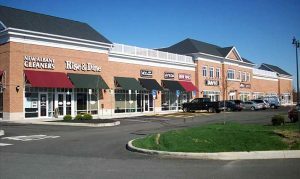 Quandel provided construction services for five separate Ohio Valley Bank projects throughout Ohio and West Virginia. 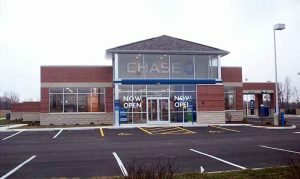 Quandel had the unique opportunity to team with J.P. Morgan Chase in the construction of 13 Chase Bank branches throughout central Ohio. 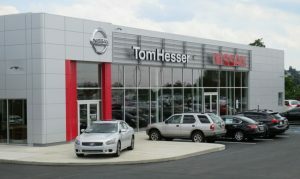 New 13,000 sq. 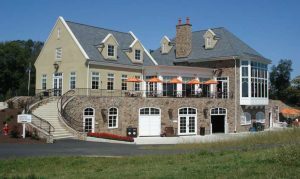 ft. Hershey Links Clubhouse incorporated a variety of ‘green’ elements. 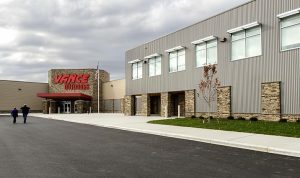 Quandel was selected to provide Design-Build services for the new Vance facility, which includes retail space for hunting and camping gear, firearms and apparel, office space, and an indoor firing range. 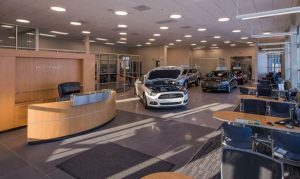 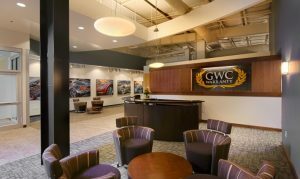 Tom Hesser Nissan selected Quandel Construction to build their new 26,000 square foot automobile dealership in Dunmore, PA.
Quandel was selected to manage the construction of a 3,000 square foot interior fit-out, on the 2nd floor of the Wilkes-Barre Sport Complex, for GWC Warranty. 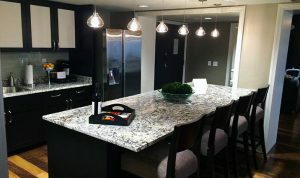 Quandel was selected to renovate two outdated presidential suites on the 20th floor of the Hyatt Regency Hotel in downtown Columbus.